In a career spanning more than 40 years, MURRAY PERAHIA is one of the world’s most sought-after and cherished pianists. 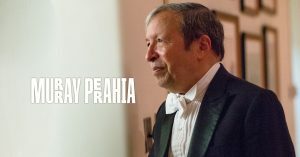 "Legend" is not a word The Gilmore throws around lightly, but in this case, MURRAY PERAHIA has earned the title many times over! He is, quite simply, one of the greatest pianists of our time. This is one not to miss!